fit-Headless is a must-have for anyone using Mac Mini server with screen-sharing. Screen sharing on a Mac Mini Server that has no display attached (headless) is low-resolution and slow. How fit-Headless solves the problem? 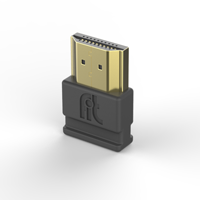 fit-Headless is a small, low-cost HDMI plug that emulates a high resolution display. Once plugged, the Mac Mini detects a connected display and enables the GPU. With the GPU enabled, screen-sharing / remote desktop access can work in high resolution. 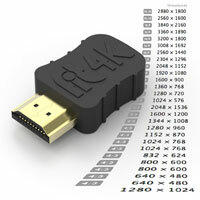 Two models of fit-Headless are available – fit-Headless (1080p) and fit-Headless 4K.